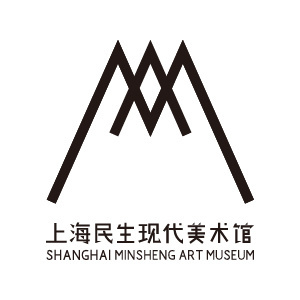 The current exhibition of Shanghai Minsheng Art Museum, “Integrated Visions—The Exhibition of Asia-Europe Classic Prints and International Forum,” covers typical and highly related samples prints from China, Japan and Europe. Coming from an eon covering from 16 to 21 century, the exhibits include prints as illustrations for publications, prints as mass media, and prints that inherit traditional techniques and study from modern painting methods… However, what kind of do prints play in contemporary life? As the easiest creating method for the masses to get to know and to master, how can printmaking be fuses into the common life? 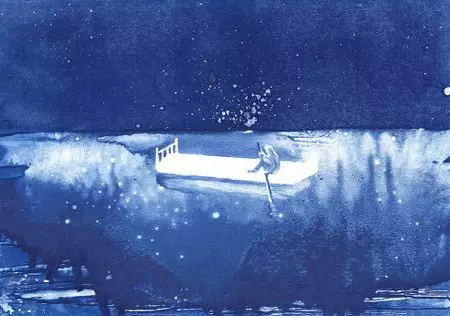 Shanghai Minsheng Art Museum invites three printmaking artists and directors of studios: Yang Mo, Nini Sum and Hammer Chen, to share their creating experiences and the concepts of their studios, respectively. They will discuss about how to bring printmaking into the vision of the public, who are facing an expanding demand for arts. They will also talk about the status quo and weakness of constructing a benign ecology chain in China, and they will lead the audience to feel the charm and magic of prints. As the founder of Press Matter, Yang Mo focuses on the public’s understanding of printmaking—is printmaking a craft? Are prints the copies of the original art works? What are the differences between prints and publications? In Yang’s opinion, printmaking studios should combine techniques and art, offer to practice the possibilities of printmaking with sustainability and stability, and construct a benign ecology for art publishing. The forms of printmaking studios vary. Whether independent studios, commercial publishing institutions or NPOs, different roles bear different operating modes. Today, printmaking studios of various sizes are springing up in numerous places, drawing more attention to printmaking. But how to set the operating mode for a studio and keep it continuously influential? The exhibits of current exhibition: China’s traditional printings, Japan’s Ukiyo-e art, and copperplate engravings from Europe, were once widely spread as a form of publication. 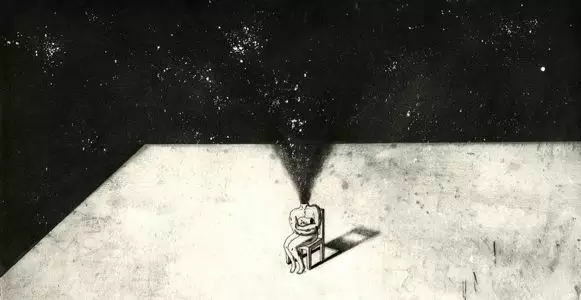 Perhaps we can find a way to solve our confusions among them. 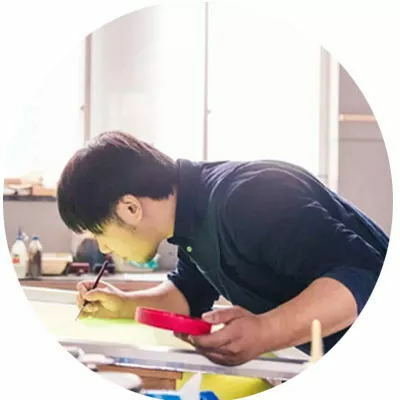 Base on his own experience in art printmaking publishing industry, Yang Mo will discuss about the possibilities of printmaking studios under current circumstances. The primary illustrations were spread in the form of prints. With the development and breakthrough undergoing on digital technology, printmaking participates into the creation of illustrations as a creating method. As a unique language, printmaking bestows illustrations multiple textures and special liveliness, while the spread of illustrations increases the possibilities for printmaking to be learned by the public. 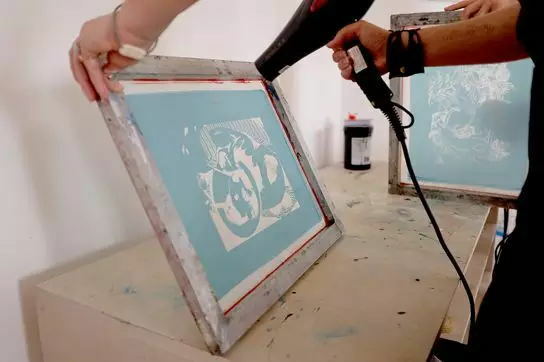 Hammer Chen, the director of “wait and roll” studio, started learning printmaking ever since she majored in Illustration at University of the Arts London. In this lecture, she will talk about the symbiotic relation between illustrations and prints. 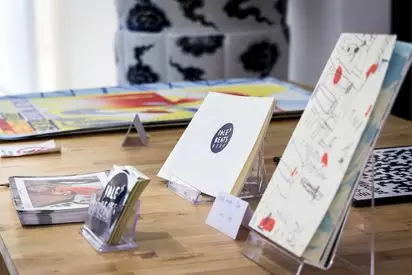 Meanwhile, her studio is also trying to construct an ecology chain that enables illustrators and designers to co-design a series of curriculum that combines illustrations and prints, and even designs interesting print products. On the way to discover these possibilities, they also hope to attract more illustrators, designers, and art lovers to get into printmaking, by presenting the charm of these possibilities. 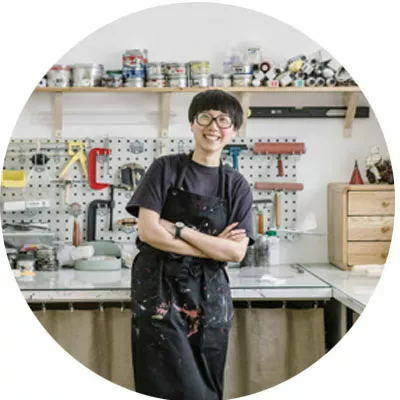 Yang Mo: Printmaking artist / Founder of “Press Matter” studio. After graduated from art school majored in printing, Yang studied in Europe and continued diving into printmaking arts. Having accumulated years of experience in advertising and press industry, he starts to create prints once again, and begins to devote himself into art publishing. He founded Press Matter in 2013, trying to bring printmaking back to the vision of the youth as well as the modern life. Nini Sum: Artist. Currently living in Shanghai. Nini is the winner of ‘Cut&Paste’ Art and Design Global Tournament China station and competed for China in NewYork. 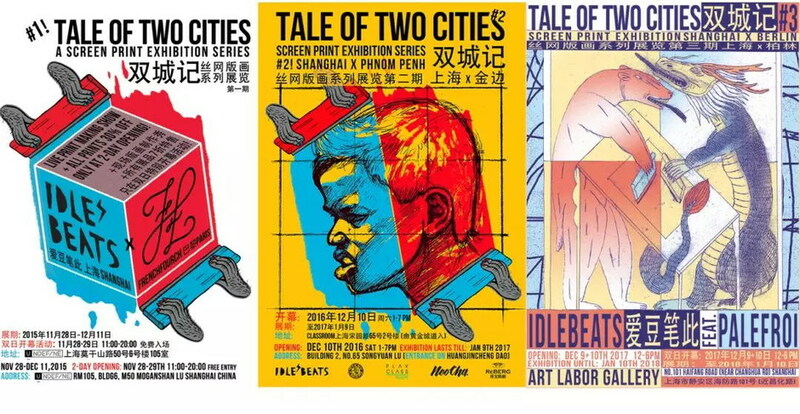 Later Nini anf German artist Grogor Koerting founded IdleBeats—the first independent screen printing studio in China, which is now known worldwide as a quality print art studio. 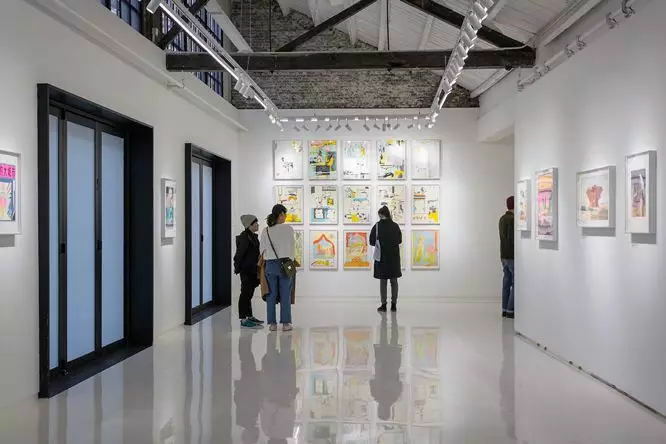 It also focuses on the creation of original screenprinted art, various commercial cooperations, independent art projects, live innovation art events and campaigns for Chinese independent culture. Her recently exhibitions include a solo show “SEE•SAW” at Identity Gallery Hong Kong, and group exhibitions “Art Print Asia” at Newsagency Gallery Sydney, “China Spring” at Stieglitz19 Gallery Antwerp, “Spot Light” in Shanghai, and No Man’s Art Gallery in Oslo and Amsterdam. Her works have been collected by collectors over the world. Hammer Chen: Printmaking artist and illustrator, director of Wait and Roll. Graduated from Camberwell College of Arts, MA Illustration. Tempted by printmaking, he started to study printmaking when he was in MA Illustration program. He has been exploring the possibilities for printmaking to be a creating method in the fields of illustration and design. He was selected to join The Royal Society of Painter-Printmakers in 2016. 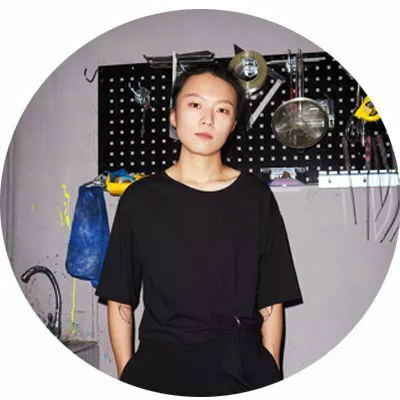 In 2017 he established Wait and Roll printmaking studio in Shanghai. Wait and Roll is a professional printmaking studio and a lab for printmaking art. It focuses on teaching printmaking interestingly, developing producing printmaking products, prints, and on-site projects for artists.